After living over six decades and doing private consultations with people worldwide Meria has written an all-encompassing book on relationships. How to have a healthy relationship and increase your own personal happiness. This book tells you all you need to know to have a healthy relationship and the most important relationship you will ever have in your life. Everything you need to know in under 70 pages! Meria feels this is her best book ever and EVERYONE you interact with should have a copy. Save yourself years of grief and buy a bunch! Buy three, get one free! ENJOY THIS TALK GIVEN BY MERIA ON 9/22/13 ON RELATIONSHIPS – CLICK HERE. Shipping and handling is included in price. Hard copies mailed within the Continental USA only, all others can purchase the ebook. The ebook will be emailed to you as soon as physically possible. frank counseling was unheard of. Nevertheless, it gave me great satisfaction to read about your perspectives on relationships. I’ve just had the pleasure of reading this over the afternoon and have to say ‘Mission Accomplished’, packed with sound advice no matter what your current situation and past experience. I found it incredibly healing. thought you would like to see how much people appreciate your book. I am so sorry that I keep forgetting to tell you how much I enjoyed the book, I want to buy it and send to every female friend I have. I read it at just the right time when all the cob webs from my silly relationship was finally over and it really opened my eyes to all sorts of things. It should be a must read for everyone before they begin a relationship. Thanks for sharing it with me. I want to get it to send to my sisters as well as friends do I just go on her website or did you get it from the bookstore? I even made a list of important points that I want to share with my sons so that they do not walk the same path that I walked. Nip a bad relationship in the bud before it really takes off too far in the wrong direction. Great read and quick and to the point just like I like it. 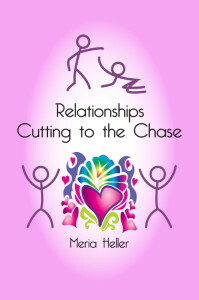 Again thanks so much for sharing “Relationships, Cutting to the Chase”…. You are such a treasure…I have read half your book today and i say it REALLY boil everything down to its essence. Its a GREAT read in a simplistic spot on clear way. Tired of all the clap trap and hoopla where Reiki is concerned? Meria has simplified it to make it easy for everyone to understand and use. $15.00 includes shipping and handling **No Longer Mailed Outside the US- use the ebook choice. Thank you! Now Available in EBook formats: html or PDF, your choice! Gosh Meria, your distant healing is extremely powerful! It was 8;30 this morning my time (that’s 1;30am your time) when I felt a tingle. Actually it was more than a tingle – I felt my whole nervous system being soothed and healed. I was just on my way out but felt the need to lie on the sofa for half an hour before leaving when I felt the healing coming through. In fact I could have stayed there for a few hours.. I’ll perhaps have to adjust my days to rest a bit in the mornings if the effect of the healing continues to be so strong. At this rate I can see how I could pretty much be well within the next month! In fact the session itself felt like a healing. And the good thing is I realised that I was healing myself by speaking to you my truth which I was able to do because your energy resonated with that part of me which knows the truth and knows my power. So it was really healing for me to express that. I had forgotten the power of the Spirit to heal any physical dis-ease. And you reminded me. Thank you so much Meria. Problems everywhere – ALL the solutions RIGHT HERE. Simple spirituality and environment answers to all the world’s problems. Easy, fun and powerful. Come dance the wheel. Get your copy/copies today! If you want to change the world, start with your own world first. There is nothing more powerful than working with and within a Universal Medicine Wheel. *No longer mailed outside the Continental U.S. – select the ebook format of your choice! Thank you. **Now Available in EBook format, either HTML or PDF, you choose! 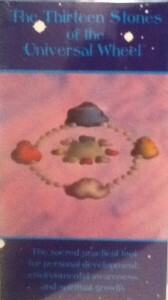 The Thirteen Stones of the Universal Wheel Video/DVD. Full length teaching video on the Universal Medicine Wheel and how to build one and work it. Shot on the beautiful Arizona Desert. Waking up to real truth can be a painful experience. This book makes it a whole lot easier! $32.95 S/H included. (limited supply left) Not mailed outside of the Continental USA. Thank you! **Meria now has full year DVD’s of The Meria Heller Show available from the year 2007 through 2015. If you would like to purchase a year or more, they are $300. per year mailed only in the U.S. & Canada. Simply make a $300 donation to her Pay Pal Account: Meria@Meria.net. Send Meria an email and let her know which year you would like including your mailing address. This is great for shows you may have missed or collectors/gifts. Book Reviews by Meria are listed on Book Review Page.. The opinions of my guests/authors are their opinions. I don’t judge them, nor do I agree 100% – and neither should you. This is called freedom of speech and expression. You have the same freedom to agree or disagree with my views as well. One Response to "Meria’s Books"